It can be very rewarding to learn how to play the piano – it’s a very fine instrument that can produce many different types of sounds and evoke different moods with its playing, from lighthearted to serious. There are several different ways to play the piano depending on your budget and personal preference. You can buy piano DVD's or piano videos and learn that way, you can log onto web sites and take good piano lessons online , or you can try to teach yourself. The other route, which most people traditionally take, is that of finding a piano instructor . Finding a instructor to teach you private lessons sometimes can be difficult, especially if you happen to have just entered a new community and don’t know anyone. Even so, you still have a few options. Your piano tuner (if you have one) is a good person to ask first about whether they know anyone offering piano lessons in the area, or you could try asking any acquaintances or friends you may have that know about these things. Someone usually will be in the community willing to accept a small fee for private piano lessons. If you find someone, get to know him or her beforehand and find out about their experience, teaching style and frequency of meetings. Also, you should try to get to know your potential new teacher on a personal level; you may find a friend in the process. Local universities or colleges offer music courses as well, so it’s possible to look into signing up for one. Not only will you be able to learn a designated curriculum, you’ll also be able to learn from teachers who have an extensive background in teaching and playing various styles of piano such as jazz piano , and blues piano . It’s wise, though, to always look at the university’s admissions policy if you go this route. Whenever you take classes at a university, you’re technically considered to be a student there, so you may have to make proper adjustments to finances, taxes and other things, even though you’re not attending full-time like traditional students. You can also go to local churches ; the seminal music programmes there will be glad to take on a student. This also has the benefit of getting you a possible foot in the door to become a volunteer church pianist . Another good way to search is to look up “Musical Instruction” in the yellow pages of your phone directory. In the chance that there isn’t anyone offering lessons, don’t worry – there are other methods. Local music stores, for instance, often hire people whose sole job it is to teach music lessons to people. As you would with a private piano tutor , get to know them so you can somewhat understand their teaching style and other things. Music stores hire only people with a background in music to teach piano lessons. Mostly, the best ways to find good music lessons are to look into going to a music store or taking classes at a local school, because there you can be assured your teacher knows what he/she is doing. If you’re resourceful enough though, you can find lessons anywhere provided you know where to look. 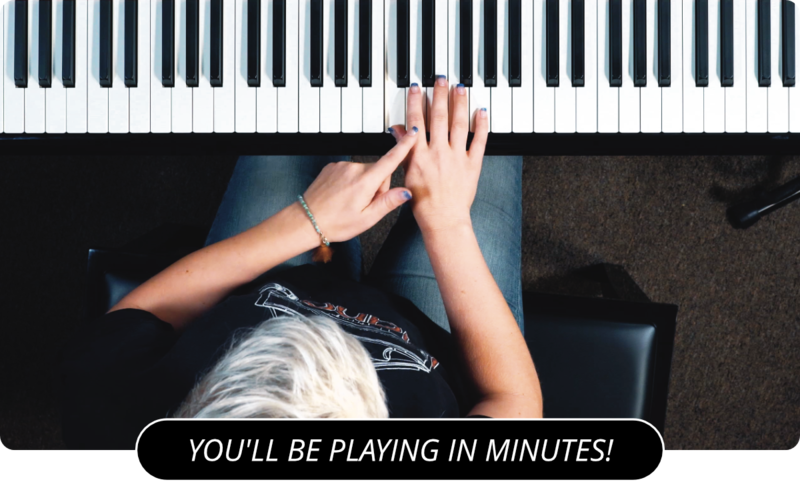 Learn more about private piano lessons by visiting the main page of PianoLessons.com , or by browsing through some of our other piano lesson articles found on this web site.